Plymouth Village Water and Sewer District’s business office at 227 Old North Main Street, Plymouth, New Hampshire is a 24’ X 60” modular building. The building, originally a modular classroom was moved in two sections to the present location in 1990. It serves as the business office for the Water and Sewer District. The interior of the building is divided in two sides; one being the conference/meeting room area, the other section contains the Administrator’s Office, customer service area and the finance office. 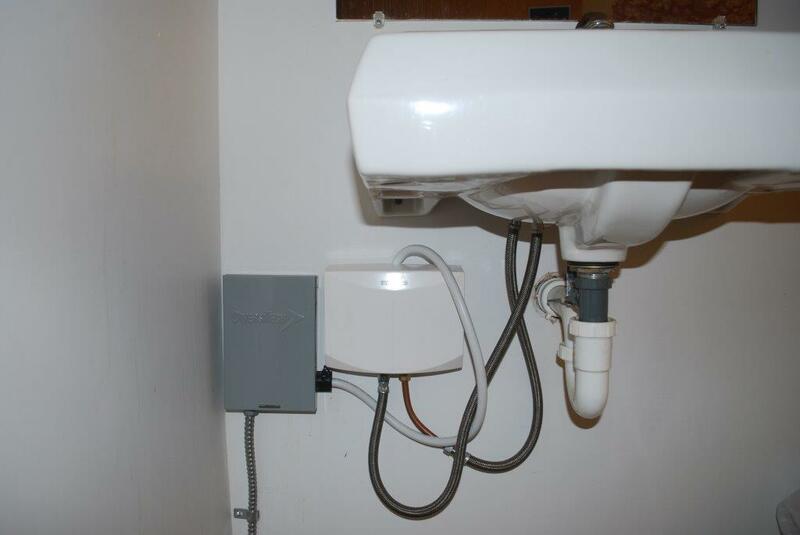 The building was heated by electric resistant radiators before the energy retrofit and annual electric bill was $4,500 including heating costs. 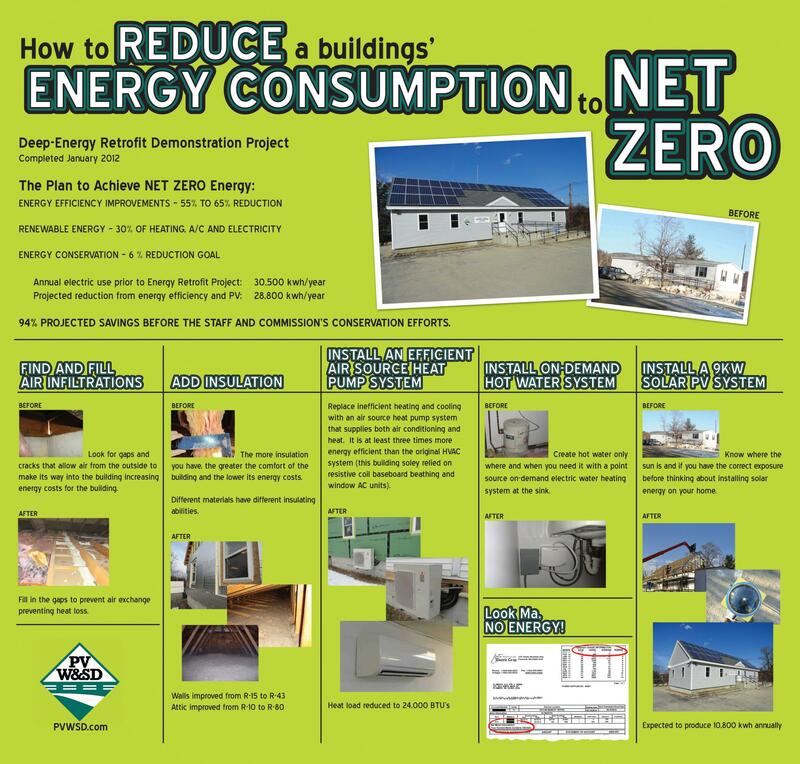 There were three areas of improvement to make the building “Net Zero”. Installation of a 9kw photovoltaic to take advantage of the building’s southern exposure. New Windows, siding, insulation, and heat pump with three mini splits for heating and cooling. Energy Conservation training for building users. The photovoltaic system generates adequate energy and we have enjoyed adding to our “bank” for 10 of the past 12 months. The “bank” has taken care of the shortfall for the heavy heating months. The District even sold part of the bank back to the electric company earlier this year. The building is kept comfortable all year long with heating and air conditioning as needed. It is a much more pleasant work environment. We take part each year in NESEA’s open house and we have had our own open house to show off the improvements for education of community members. We often have customers, residents and visitors stop by to look at the building. We have an IPAD to display the “live” energy production and “live” energy use of the building It maintains a history so that review of use can be monitored. There have been multiple pluses to this project; in addition to environmental benefits of less energy use, less carbon footprint perhaps most important to our customers is cost savings. We reduced electric heating use from 4000 kwh in 2010-2011 to 400 in 2012. Occupants are more comfortable eliminating the need for space heaters and keeping the over-all temperature lower. Basement temperature has not dropped below 45 degrees. Beginning in April of 2012 the building was completely net zero with the excess energy produced being banked for future use. 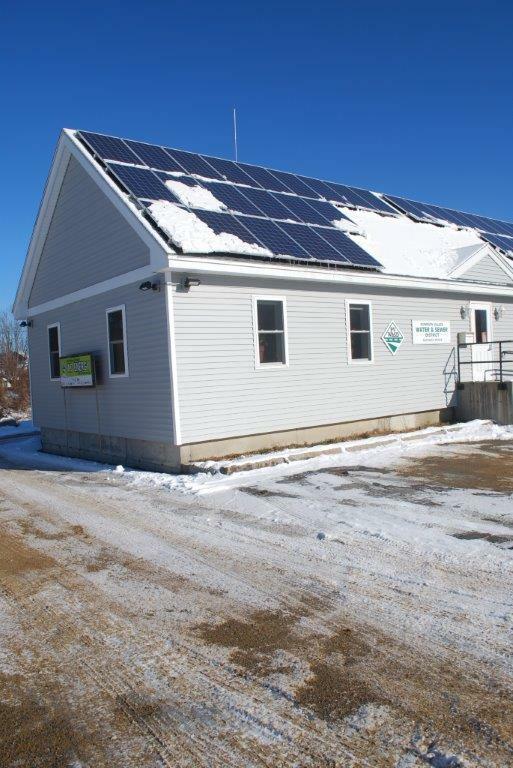 In January, 2013 the District sold 3,587 kwh back to our power company, New Hampshire Electric Coop. This project has been a educational piece for the community and has sparked an interest in solar energy and conservation with many of our visitors putting in similar systems in their homes and businesses. It has attracted the attention of our elected officials who have attended our open house and have supported this effort in the political arena.. After two years of being a “Net Zero” building community interest continues to be strong.